Complete your trip in Boquete, Chiriqui by spending a day exploring the nature and landscapes of Cerro Punta starting by walking through the lush forested gardens of Finca Dracula, then you will be introduced to the exotic orchids that grow in their collection. After a delicious homemade Panamanian lunch you will explore Cerro Punta, with its beautiful gardens, fresh strawberries and agricultural scenery. This is one of the best things to do in Chiriqui and a highlight for everyone’s vacation. If you are staying in Boquete, Check out our Daytrip package for only 35$ per person!! The beauty and peace of this garden leaves you breathless. Jane H.
I picked (the juice called) Dracula’s Blood and tis was delicious! They hand make these juices the moment you order them so they taste fresh. Steve B. The knowledgable guide walked us around the gardens showing us its immense variety of orchids. Roswitha E.
We were able to see the quetzal bird and hummingbirds were flying all around us. Margaret R.
These gardens are accessible without a guide, you can explore them at your own pace. Fern Garden: new garden with beautiful Panamanian fern species. 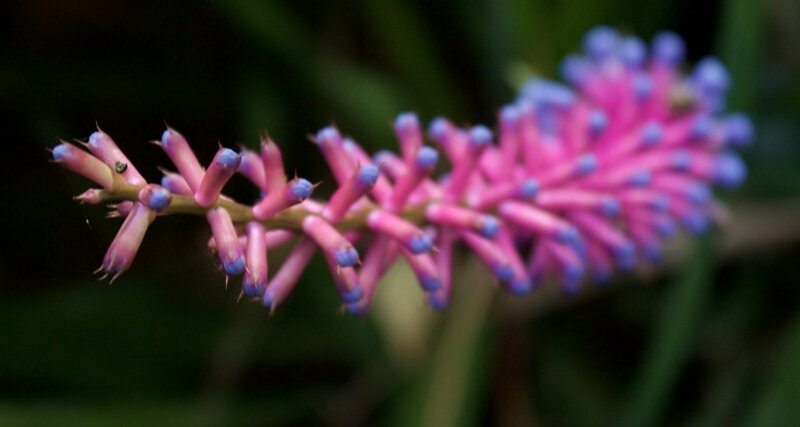 Bhuda Garden: This small garden has beautiful flower plants including orchids, bromeliads, amaryllis and heliconias. 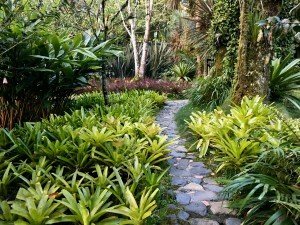 Light garden: This very moist bright garden hosts a beautiful combination of delicate cloud forest species and flower plants. Dracula Cave: Under construction, opens in 2019. Lake: Beautiful dock from which to see the lake and Japanese garden. These gardens are restricted to be accessed only with the company of a guide as part of the tours. 9. Orchid garden: newest garden which features dozens of orchids species and hybrids growing on trees. 10. Orchid Exhibit: in this greenhouse we bring together most of the plants in bloom. Buy your ticket for the Cerro Punta Orchid Tour now with Paypal. You will need to specify the date and Special meal requirements if any for the visit. Reservations have to be made prior to 7 pm the night before the tour. After the purchase you will get a confirmation email from our staff. The order is not guaranteed until you get the confirmation Email. You can add more people in the Paypal portal after clicking “Buy Now”. When you arrive to Finca Dracula you can buy your tickets on the gate on weekends and on the cafeteria on weekdays. The shuttle will go to the pick up location at arround 8:30 am at the Parque Domingo Medica in front of the Hostal Mamallena. Whats the weather like and what should I wear? The weather up here is cold, down to 59F (16C) in daytime, with uo to 95% humidity and its the cloud forest so it can rain. For the weather you should bring: long pants, jackets, umbrella or poncho, closed shoe (preferably boots or sneakers), and sunscreen (sun is 45% brighter up here). Do you sell the orchids? The purpose of the collection is not for profit and the plants require very special care so the answer is no. We do, however sell some easier to grow plants that would do well in the warmer climates. Can we explore Cerro Punta? Once you finish your lunch at Finca Dracula you will have time to walk and enjoy Cerro Punta. It is a pleasant downhill walk with beautiful landscapes, gardens and in the town you will find the delicious strawberries and cream. The earliest you make your reservation the better, to guaranty availability. The latest is 7 pm the day before the visit. Any reservation or payment made beyond that time is not guarantied. Kids always find a way to enjoy the visit. We will be adding attractions and activities to keep them entertained while you enjoy the nature of Finca Dracula. Is there a kids discount? The price is per seat and it is already the lowest available so we don’t offer discounts for kids.